Best Buy is not only the place to access a huge array of technology, consumer electronics, and major home appliances year round. It's also a must-stop shopping destination for the most highly sought-after Bluray and DVD titles either to buy for yourself or to give as gifts. 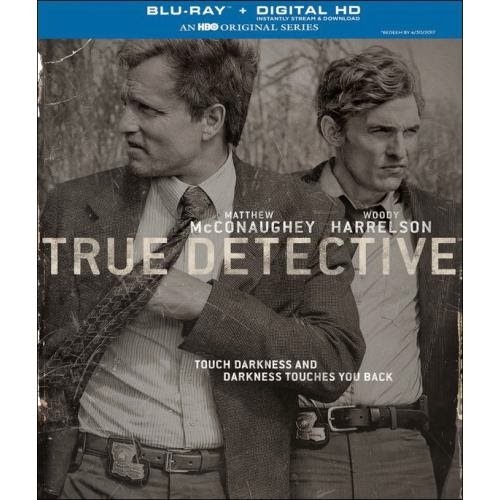 In particular, this retailer is a great source for HBO series like the Blu-ray plus Digital HD True Detective - Season 1 collection which will be available at Best Buy on the day it's released, June 10th. Perfectly timed for June 15th Father's Day gift giving -- on top of the fact that all HBO series the store carries, including this title, are on sale there from June 8 to 14. The True Detective HBO at Best Buy offering would make an awesome Father's Day gift. Whether purchased for the entertainment enthusiast dad who is already a huge fan and can't get enough of this gripping series or for the hard working daddy who has missed some or all of last season's episodes and has a lot of catching up to do, this is one present dear old dad will likely enjoy for hours on end. The story line revolves around the lives of two Louisiana State detectives, Rustin Cohle (Matthew McConaughey) and Martin Hart (Woody Harrelson), who again become entangled after they revisit a 17-year case involving a serial killer hunt that they worked on together and was supposedly solved back in 1995. Rounding out the True Detective show cast headliners is Michelle Monaghan as Maggie Hart. For lots more information on the show series and cast visit HBO. You'll not only discover a great selection, Best Buy merchandise is perfect for every budget. Not only do they have gifts under $50/$100 they also offer their low-price guarantee and free shipping with qualified purchases. Learn more about the brand at BestBuy.com. You can also stay up on all the latest consumer news by following on Facebook and Twitter.